Chemistry’s boring. I don’t like my instructor’s teaching style. I hate English. She doesn’t know what she’s talking about. That class has nothing to do with my major or what I want to do with my life. At Academic Support, we hear it all the time. I won’t use this post to tell you why you should embrace Chemistry or English. I won’t defend your instructor. I won’t explain why a particular class will help you become a well-rounded person or succeed in your career. However, I will make a concession: your complaints may be legitimate. There are no “buts” on transcripts. Your grade is your grade. 1.) Get Help When You Need It. Many people dislike math, writing, or other subjects they find challenging. If you’re struggling with a particular class, meet with your professor, form a study group, or visit the Academic Support Center for tutoring and other support. And don’t be afraid to ask questions: if your instructor’s assignments or notes confuse you, ask for clarification. 2.) Remember the Real World. In your future career, you will encounter difficult people, stressful times, and challenging situations. Even your dream job will have dull or unpleasant elements. Right now, college is your full-time position, so accept that you won’t love every class or instructor. 4.) Keep Your Eyes on the Prize. Yes, it’s a cliché, but sometimes it’s the only mantra that works. If you’re in college, your goals are a degree and a career. Recognize that difficult class or professor as a small, but vital step on your journey to the life you want. So as the British say, just get on with it. One day, your effort will be worth it. 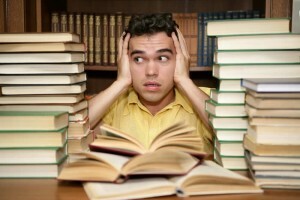 Procrastination: Don’t Put Off Reading this Blog Post! In order to beat procrastination, you need to face it. Acknowledge that that is what’s happening. Don’t kid yourself that because you always seem busy, you must be getting the important things done. The master procrastinators I know are always busy doing legitimate tasks. Busy-ness is the best way to mask the fact that you’re avoiding something else. 1.) Like any change, it’s hard. 3.) It won’t gain you popularity, and it might not be fun. It’s easy to see why so many people put off dealing with procrastination. Avoiding procrastination requires a combination of attitude and technique. Let’s start with attitude. You have to convince yourself that you can manage your behavior with regards to time. Yes, you can. Let go of perfectionism. Conditions are rarely perfect for working, and people are rarely capable of achieving perfection in their work. Strive for personal excellence and satisfaction instead. Appreciate deadlines: don’t fear them. The adrenaline rush caused by an approaching deadline may be exactly what you need to get those creative juices flowing! Don’t wait for inspiration to strike. You are responsible for turning that light bulb over your head. It’s not magic, and it only happens after you’ve invested some time and energy. 1.) Become a list-maker and a prioritizer. Before you go to bed at night, make a list of tasks you need to accomplish the next day. Note which things are most important in terms of time or significance. Write them down so you can’t conveniently forget them or rationalize them away. 2.) Make sure your goals are realistic. Break huge, overwhelming jobs into smaller, doable chunks. 3. ) Tell the people around you what are you are planning to do. The added pressure will help you stick to your plans. 4.) Get started with something! Keep your planning and prioritizing simple, but don’t waste time debating where to start. When it’s time to work, pick something on your list and plunge in. It all needs to get done. 5.) Have patience with yourself. Once you start, give yourself time to focus on the task at hand. If it’s hard to get focused, try a different perspective or approach. 6.) Reward yourself when you’ve achieved a goal. Take breaks when you need to – but make yourself get back to work and finish things. Whenever you finish a task, cross it off your list. 7.) Pay attention to the things on your lists that never seem to get done. If they’re not worth doing, drop them from your list and forget them. If they are worth doing, acknowledge that those are the things you’re really avoiding and get help dealing with them. If you need help dealing with your procrastination, don’t delay getting help another day! The longer you wait, the more overwhelming the looming tasks become, and the less likely you are to be able to salvage the semester – and your well-being. Becky Eno is the Academic Counselor at Castleton University. She also teaches in the English department. The last week has been a blur. You’re adapting to a new schedule – and maybe changing that schedule as you add or drop classes. 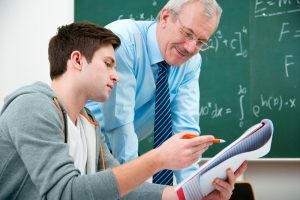 Professors are inundating you with syllabi and assignments, you’re planning to meet up with friends, and you’re trying to fit homework around your job or extracurricular activities. The semester’s hardly begun, but you’re already overwhelmed. 1.) Use one binder per class. You need a dedicated three-ring binder – or at least a notebook and folder – for each class you take. Even if your professor puts your notes and assignments on Moodle, you should still have a physical location where you can store handouts, drafts, and other documents. Keeping track of deadlines will be much easier if you keep all the materials for a specific class in one place. Take notes on a laptop or other device? Make sure you set up an electronic folder for each course on your schedule. 2.) Plan ahead. Buy a planner. There’s nothing like being able to see all your commitments and deadlines in one place. You can buy a planner at the Castleton Store; if you prefer an app, check out myHomework. Whether you choose a traditional planner or an electronic one, invest in one that will show you a week at a time. This will give you a sense of how you should structure your free time for the next few days. -Write draft of history essay. -Start research for psychology paper. -Call Grandma and wish her a happy birthday. “To Do” lists can be paper or electronic; choose the format that works for you. Note: you can also create “To Do” lists for specific projects. This can help you break down large assignments into smaller, more manageable tasks. 4.) Pause. When you’re juggling multiple commitments, life can get confusing. Being a full-time student is full-time work – and most students also have outside jobs, extracurricular activities, or family obligations. Occasionally, even the most organized and conscientious among us lose track of our priorities. When you find yourself stressed, overwhelmed, or unable to focus, stop whatever you’re doing and take a deep breath. Take a few more breaths, and then write down everything you have to do. Look over your list. Which items do you need to do? Which do you need to do now? Which tasks could you put off for a few more days? Are there any you could reschedule or even skip? We’re not advocating shirking responsibilities or blowing off assignments, mind you. 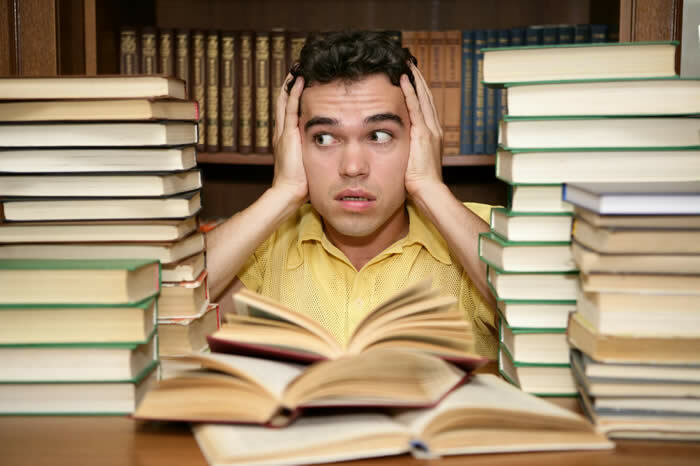 But if you have to study for a biology test, finish a history paper, and attend a club meeting, make sure the test and paper come before the extracurricular activity. Sports, clubs, and socializing are all important, but academics should always be your first priority. 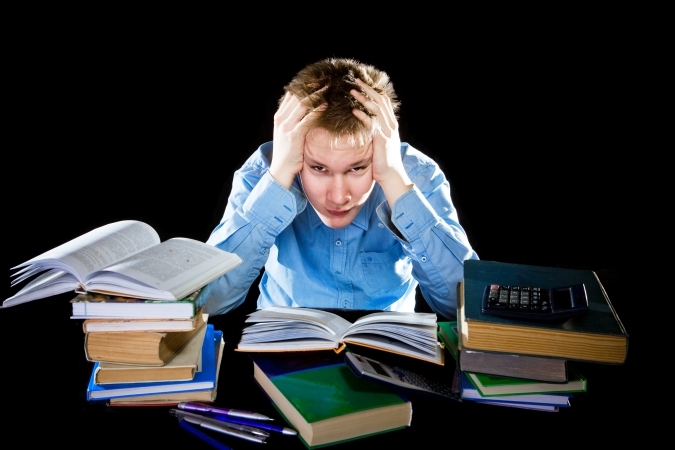 Some stress is an inevitable part of college and life in general; however, with a little planning, you can avoid the sensation of moving from one crisis to the next. Sometimes, a little structure can mean the difference between dreading your responsibilities and enjoying them.